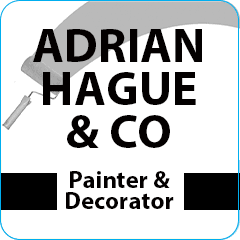 Adrian Hague & Co are an experienced, professional painting & decorating service who pride ourselves on placing our customers first. If you have an idea of how you want your dream home to look, we will make it happen! With over 60 years combined experience we have the skills and the knowledge to make your home look exactly how you want it. We pride ourselves on providing a professional and quality service, spending more time on preparation to ensure a superb, clean finish that you can be proud of. Whether you’re seeking a new look in a single room or a complete redecoration of your house, we can deliver above and beyond your expectations, from a fresh coat of paint to perfect wallpapering. We also offer a kitchen re-paint service that allows you to rejuvenate your kitchen for a fraction of the cost of a new installation.